How to manage retirement income needs during market volatility? It is normal for investors with limited knowledge about the stock markets to panic and take impulsive decisions during such times. 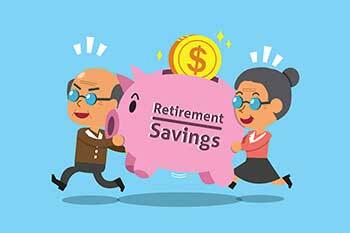 The task of managing finances becomes even more pulsating for those in their retirement years. The year 2016 did not begin on a positive note as far as the stock markets are concerned. The markets continue to be under pressure on the back of volatile oil prices and global uncertainties. It is normal for investors with limited knowledge about the stock markets to panic and take impulsive decisions during such times. The task of managing finances becomes even more pulsating for those in their retirement years. Here are some points that can help investors to manage their retirement money during volatile markets. Refrain from overreacting: The daily market movements should not compel one to act on their finances on a daily basis. An important point to note is to develop a habit of countering overreaction. Retirees should consider taking help of a professional financial advisor, who can help them prevent taking hasty decisions. Trimming dependency on equity-based returns: If a retiree withdraws a proportion of his/her retirement income from equity-based funds or schemes then he/she should factor such income out during volatility. This would even imply cutting down expenses or change in lifestyle to neutralise the impact of decreased income. Seek alternative incomes: If retirement income needs are inflexible, and one finds it difficult to manage with lower returns during the stock market volatility, then it’s better to look for alternative incomes. Ideally, an individual should have less exposure to equity-based schemes during grey years, and more of the income should be sourced from guaranteed income instruments such as annuities, pension plans or rental income. Find non-market correlated income streams: A Reverse Mortgage is one way to ensure continuity of income during retirement years without the need of worrying about stock market movements. However, one should carefully evaluate the option before deciding on it. Some backup in cash: It is recommended that retirees should build a cash reserve, which can be used to support their income needs during market volatility. A few months of cash reserve will help retirees to depend less on the market and get through the volatile period.